Continuing with the theme of “The Scientific Revolution“ we are looking this week at the Marriage of science and Empire. The introduction to this module tells us that modern science developed in alliance with the modern European empires. The conquest of new knowledge depended upon and made possible the conquest of new territories. What exactly the contribution of science was to the rise of the European empires, and the contribution of European empires to the development of science is what we will look at. We also explore why it all started in Europe, rather than in China, India, or the Middle East. These are my notes from Dr Harari’s lectures. To create them I use the subtitles from his videos lectures presented by Coursera.org. Scientific research can only flourish in alliance with religion, ideology or political force to justify the cost of the research. In exchange, the ideology influences the scientific agenda and determines what to do with the discoveries. To really understand the scientific revolution and its developments the ideological, political, and economic forces that shaped the sciences of physics, biology, and economics have to be considered. These ideologies pushed them towards certain destinations and not others. Of all the ideologies, political and economic forces that shaped modern science the two most important ones are European imperialism and capitalism. The rise of European empires. Before the modern era, Europe, and in particular Western Europe, was a poor and marginalised area of the world where nothing of importance happened. It was never the centre of any great Empire prior to the modern age. The Roman Empire is the only important pre-modern European empire and it derived most of its power and wealth from its North African and Middle Eastern provinces. The Western European provinces of the Roman Empire contributed little except minerals and slaves. Northern Europe was so desolate and so barbarous in the times of the Romans that they didn’t even bother to conquer it. No important religion, ideology, no great technological invention or economic systems came from Europe before the modern age. Europe only started to become a centre of important military, political, and cultural development at the end of the 15th century. Between 1500 and 1750, Western Europe gradually gained momentum and became the master of the outer world meaning the two continents of America and the oceans. Even in the 18th century European states were still weaker than the great powers of Asia. Europeans managed to conquer America and the oceans mainly because the great Asiatic powers of the Middle East, India and China showed very little interest in these areas. The early modern era was a golden age for the non-European empires like the Ottoman Empire in the Mediterranean, the Safavid Empire in Persia, the Moghal Empire in India and the Chinese Empires of the Ming and Qing dynasties. As late as 1775, Asia accounted for 80% of the world’s economy. The combined economies of India and China alone represented about two-thirds of global production. In comparison with Asia, in the late 18th century, Europe was still economically of little significance. The global centre of power shifted from Asia to Europe between 1750 and 1850 when, in a series of conflicts, the European powers defeated and humiliated the Asian powers and conquered large parts of Asia. 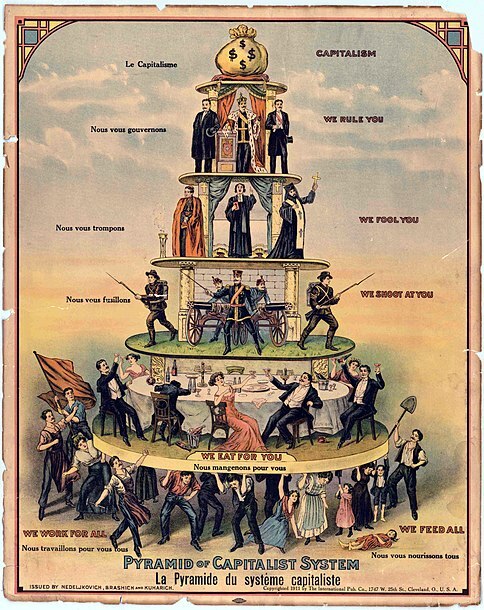 By the late 19th century, Europeans firmly controlled the whole world and the world’s economy. In 1950, Western Europe and United States together accounted for more than half of global economic production; China was down to just 5%. The Europeans controlled not only the economy, they created a new global political older and a new global culture. Today, all humans are, to a large extent, a greater extent than they usually want to admit, all humans are European in their thoughts, in their tastes, in the way that they see the world and behave. They may be fiercely anti-European, anti-Western in their rhetoric, but almost everyone on the planet views politics, medicine, economy and war through European eyes. Even the growing economy of China today, which may soon regain its global position as the giant of the world economy, is built today on European models of production and finance. How was it that Europeans managed to break out of their remote corner of the globe and conquer the whole world in no more than two or three centuries? European technology is often given much of the credit for this, and it’s unquestionable that from 1850 onwards technology gave Europeans and Americans of European descent, a clear superiority over everybody else. There was a common saying, for example, among European soldiers who fought in Africa against African enemies “whatever happens we have machine guns and they don’t, so don’t worry”. Technology was far less important before 1850. Even as late as 1800, the technological gap between European, Asian, and African powers was relatively small. In the year 1800, Europeans did not have a significant technological advantage over Muslims, Indians or Chinese. When Britain began to build railways and modern industrial factories France, Germany and the United States were able to follow quickly whereas China lagged behind. When the gap between industrial and non-industrial nations became a very obvious economic and political factor in the world European countries like Italy, Russia and Austria managed to close the gap and join the industrializing club whereas Persia, Egypt and the Ottoman Empire failed to do so. The technology of the first industrial wave was relatively simple. The Chinese or Persians could have engineered steam engines, manufactured machine guns or laid down railroads. The first commercial railroad in the world opened for business in 1830 in Britain between Manchester and Liverpool. Twenty years later in 1850, western nations: Britain, France, Belgium and Germany were criss-crossed by almost 40,000 kilometres of railroads. At the same time in the whole of Asia, Africa, and Latin America there were only 4,000 kilometres. 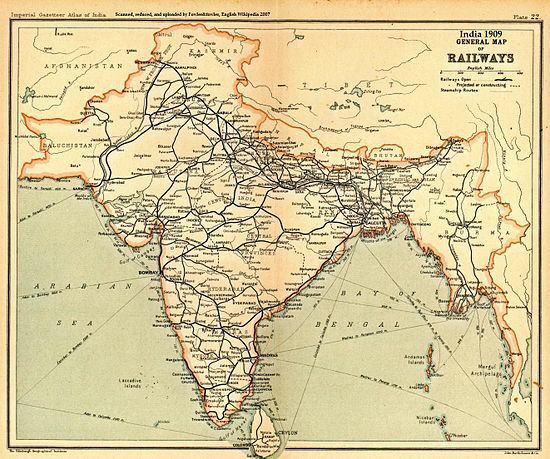 In 1880 western countries had about 350,000 kilometres of railroads and the rest of the world together had only 10% of that, 35,35,000 kilometres. Most of those were built by the British in India. In China, for example, the first railroad opened in 1876. It was 24 kilometres long, and it was built by Europeans in China. The Chinese government destroyed it the year after it was opened. In 1880, 50 years after the beginning of the railroad age, the Chinese Empire did not operate a single railroad line. Were 50 years too short a time for the Chinese to understand how important railroads were, or to learn how to build and operate them? In Persia, we see roughly the same situation. The first railroad in Persia, what is today Iran, was built only in 1888, almost 60 years after Britain. It connected the capital Tehran to a holy site in Ray about 10 kilometres away. This railroad was constructed by a Belgian company. In 1950, the entire railway network of Persia amounted still to only 2,500 kilometres in a country seven times the size of Britain. 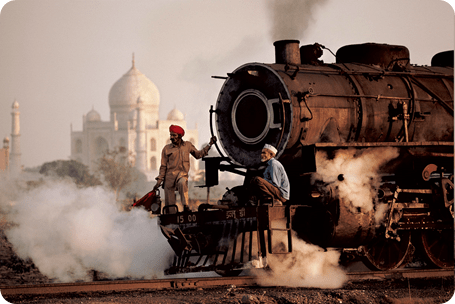 The Persians and the Chinese didn’t lack technological inventions such as the steam engines. They could easily buy them on the market, it wasn’t a secret, and there wasn’t an embargo. What they really lacked was the values, the judicial apparatus and the social political structures that took centuries to form and mature in the west and which could not be so easily copied and internalized. France or the United States, or Germany could very quickly follow in Britain’s footsteps in the Industrial age, because the French and the Americans already shared the most important British myths and social structures. The Chinese as the Persians could not catch up so fast because they thought and organized very differently. This explanation sheds new light on the period between say, 1500 and 1800, or 1850. During this era, Europe did not enjoy any obvious technological or other advantage over the Asian powers, but Europe was gradually building a unique potential whose importance became obvious in the 19th century. The apparent equality between Europe, China and the Muslim world in 1750 was a mirage. They might have been equal in their power but their potential was very different. What was the unique potential that developed in Europe during the early modern period and that enabled Europeans to suddenly take over the world? The answer is that Europeans developed modern science and capitalism. In the early modern area before the 19th century Europeans became used to thinking and behaving in a scientific and a capitalist way even before they enjoyed significant technological advantages over other societies. When the big technological inventions of the 19th century and the Industrial Revolution came along, Europeans were in a better position than anybody else to harness them and to use them. It’s also hardly coincidental that science and capitalism, these two unique potentials are not only the basis that gave Europe primacy; they’re also the most important legacy that the European Empires left behind them in the post European world of the 21st century. Europeans no longer rule the world today, but science and capital are still the keys for economic and political success in the world. Modern science owes a huge debt, not only to the modern European empires, but also to ancient scientific traditions, such as those of classical Greece, China, India, and the Islamic world. Yet the unique character of modern science began to take shape only in Europe of the early modern period at the same time and in the same places, as the imperial expansion of Spain, Portugal, Britain, France, the Netherlands and Russia. During the early modern period the Chinese, Muslims, Native Americans and Polynesians continued to make important contributions to science. It wasn’t just Europeans. European economists, like Adam Smith and Karl Marx studied the books of Muslim economists. Native Americans’ treatments of diseases influenced European doctors. 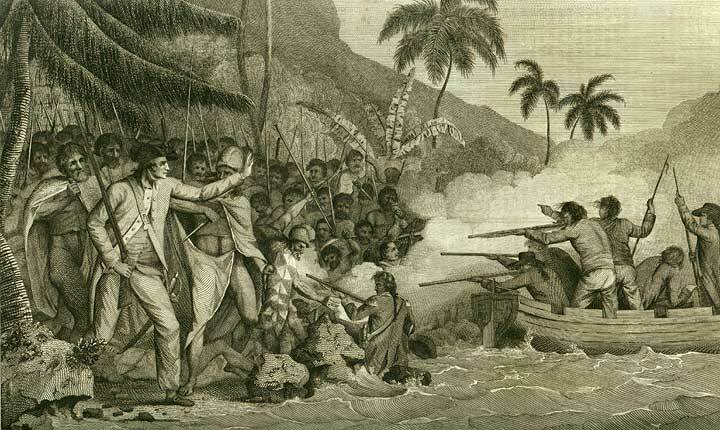 Data gained from Polynesian information in the Pacific, revolutionized Western Anthropology, Zoology and Biology. But until the 20th century, the people who brought together all these different data, discoveries and experiments, and in so doing created the scientific disciplines and theories, were the ruling elites of the global European empires. China, India and the Islamic world produced people as intelligent and as curious as those of Europe. 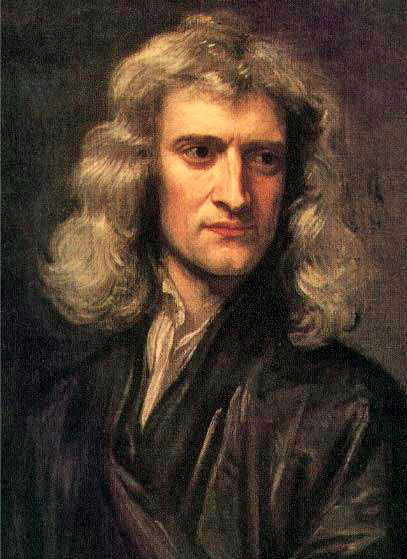 However, between the 16th century and the middle of the 20th century non-European civilizations did not produce anything that comes even close to Newtonian physics or to Darwinian biology in terms of scientific theories that explain how the world works. This does not mean that Europeans have some unique gene for doing science or that Europeans will forever dominate the study of physics and biology. Just as Islam began as an Arab monopoly but was subsequently taken over by non-Arab people like the Turks and the Persians, so modern science began as a European speciality, but it is today turning into a global multi ethnic enterprise. You can find Indians, Muslims, and Chinese alongside Europeans and people from European origins in the forefront of science. The bond between modern science and European Imperialism. What forged this bond was that scientists and conquers of early modern Europe shared the same basic mind-set, the same basic view of the world. They both began by admitting ignorance. They both then felt compelled to go out into the world and make new discoveries and they both hoped that new knowledge would make them masters of the world. We see this connection between a scientific research and imperial conquest most clearly in the great European voyages of exploration of the early modern period. These voyages were both scientific voyages of exploration and imperial voyages of conquest. European imperialism was in this way very unique and very different from all previous imperial projects in history. Previous conquerors assumed that they already understood the world perfectly. When the Arabs conquered Egypt, Spain and India they didn’t do it in order to discover something that they don’t know. When the Mongols and Aztecs conquered numerous countries in Asia and America they were looking for power and wealth not for knowledge. In contrast European conquerors set out to distant lands in the hope of not only conquering them but in the hope of obtaining new knowledge. 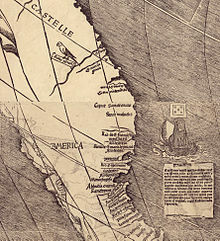 In the 15th century Portuguese voyagers explored the coast of Africa and simultaneously seized control of islands and harbours along the coast. 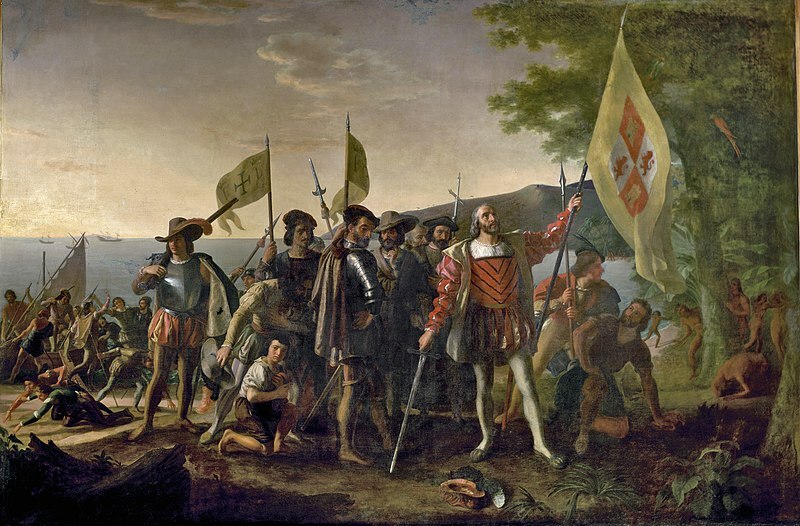 Christopher Columbus went on a voyage to gain new geographical knowledge and discovered America, but immediately also claimed sovereignty, claimed control over the lands that he discovered. Ferdinand Magellan was the first person who managed to find a way around the world, to circumnavigate the whole globe. 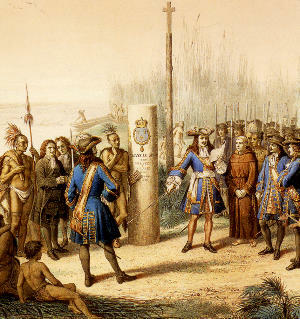 Simultaneously with his geographical explorations he also laid the foundation for the Spanish conquest of the Philippines and many other territories. As time went by the conquest of knowledge and the conquest of territory became ever more tightly connected. In the 18th and 19th centuries almost every important military expedition that left from Europe to distant lands had on board scientists who set out not to fight but to make scientific discoveries. They also had political ambitions of conquest. The most famous example of this is the expedition of James Cook to the South Pacific Ocean and Australia in 1778. 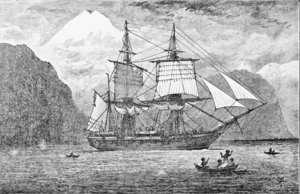 The Cook expedition included a team of about 10 scientists from various disciplines headed by the famous astronomer Charles Green and by the botanist Joseph Banks. In three years this expedition made numerous scientific discoveries and collected immense amount of new empirical observations on Geography, Astronomy, Botany, Zoology, Anthropology, Medicine and so forth. The Cook expedition brought back to Europe the first detailed accounts of Australia, New Zealand and many of the Pacific Islands. Its findings made major contributions to a number of scientific disciplines and it sparked the imagination of generations of European scientists with astonishing tales about the South Pacific and the cultures that they found there. Perhaps most famously the expedition also helped to find a cure to the disease of scurvy a disease that cost the lives of millions in the early modern period. James Cook was not only a geographer he was also a naval officer in the British Royal Navy. The ship in which the expedition sailed was provided by the British Royal Navy which also provided 85 well armed sailors and marines and equipped them with artillery, muskets, gun powder and other weapons. Much of the information which the expedition collected had obvious political and military usages. Most importantly Cook claimed sovereignty for Britain of many of the islands and the lands that he discovered, most notably Australia. When Cook reached Australia he not only explored the land he also said this is ours, this belongs to Britain now. In this he laid the foundation for the British occupation and conquest of Australia, New Zealand and the South Pacific and the foundations for the settlement of millions of Europeans in the new colonies. This lead to the extermination of the native cultures of Australia, New Zealand and much of the Pacific islands. In the 100 years that followed Cook’s expedition the most fertile lands of Australia and New Zealand were taken from the previous inhabitants by European settlers. The native population of Maori’s in New Zealand and Aboriginal Australians in Australia dropped by more than 90% and the survivors were subjected to a very harsh regime of racial oppression. 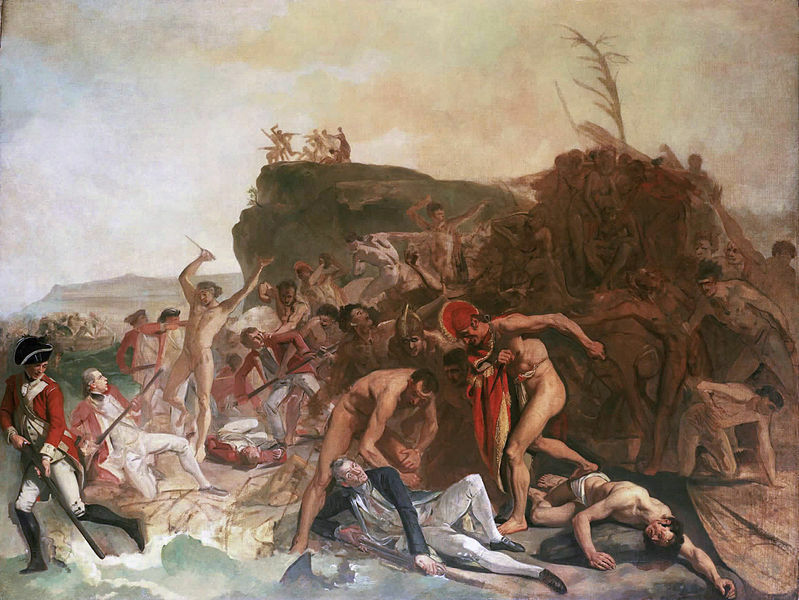 For the Aboriginal Australians and for Maoris of New Zealand the Cook expedition was not just a scientific expedition it was also the beginning of catastrophe from which they never managed to recover even to this day. So how should we understand the Cook Expedition? Was it a scientific expedition which was protected by a military force or was it a military expedition which a few scientists joined in order to look around? There is no simple answer to these questions. It’s like asking whether your gas tank is half empty or half full. The scientific revolution and modern imperialism were inseparable. For people like Captain James Cook and the botanist Joseph Banks, who handled these expeditions, science and empire were basically the same thing the same project. Consider another very famous expedition the expedition of the ship Beagle. The Beagle also belonged to the British Royal Navy. It was sent in 1831 to map the coasts of South America, the Falkland Islands and the Galapagos Islands in expectation of war in these areas. The British Navy needed this knowledge to prepare in the case of war in the area of South America. The captain of the Beagle was not only an officer in the navy he was also an amateur scientist. He decided to take along on the ship a geologist because he was interested in studying geological formations that the expedition might encounter on its way. It was a good opportunity. You send a ship to other side of the world so why not make some scientific explorations as well. The captain approached several professional geologists but they all refused the invitation. He finally offered the chance to a 22-year-old Cambridge graduate by the name of Charles Darwin. Darwin studied in Cambridge to become an Anglican parson. But during his studies he discovered that he was far more interested in geology and in natural sciences than in the Bible. When this Captain offered him the chance to on this expedition to South America, Darwin jumped at it the rest is history. While the captain of the Beagle was spending his time drawing military maps of South America Darwin was busy collecting empirical data about geology, botany and zoology which was the basis of his insights which became the Theory of Evolution. Even this, the most important of scientific theories of the modern age had its origin in a military expedition. A further example concerns the journey to the moon in 1969. It’s a very good story even if it might not be true, about the expedition of the American astronauts in 1969 to the moon. 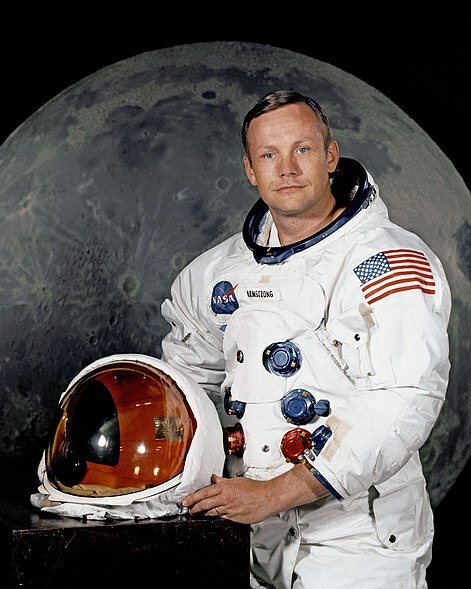 As everybody probably knows on July 20th 1969 Neil Armstrong and Buzz Aldrin were the first two men to land on the surface of the moon. In the months leading to the expedition the astronauts trained in their remote moon like desert in the Western United States to simulate the condition of the moon. This area is a desert of the Western United States was home to some Native American tribe. The story describes the encounter between the astronauts and one of the of the tribes people. One day as the astronauts were training they came across an old Native American man. He asked them what they were doing and they told him that they were training because they were part of a scientific expedition which would shortly travel to explore the moon. When the old Native American heard that he was silent for a few minutes and then he asked the astronauts very seriously if they could perhaps do a favour for him. He explained that the people of his tribe believed that on the moon lives holy spirits. 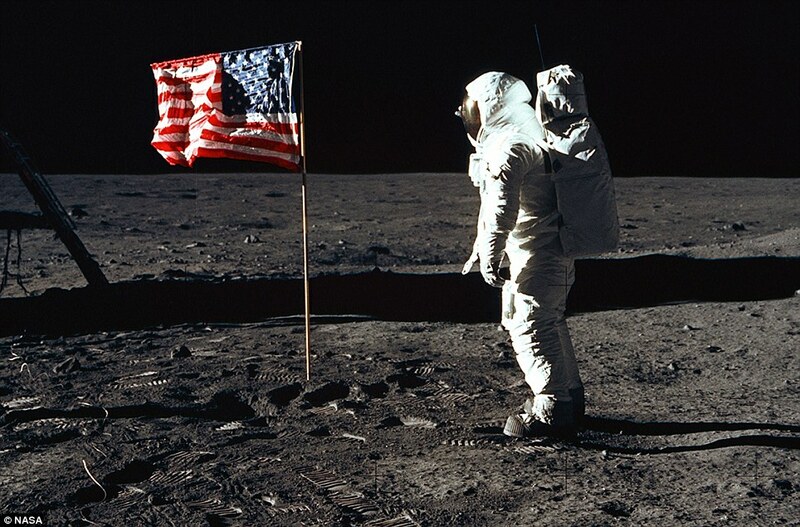 He wanted to use the opportunity to pass an important message from his people to the Holy Spirit on the moon. The astronauts agreed. So the man said something in his tribal language and asked the astronauts to repeat it again and again and again until they memorized it perfectly and the old man was very happy about it. The astronauts asked what it meant. Oh said the old man I can’t tell you it’s a secret that only our tribe and the sacred spirits on the moon only they are allowed to know the message. The astronauts went back to their base but they were very curious they were scientists after all. So they searched and searched until they finally found somebody who could speak this tribal language and asked him to translate the secret message. The translator started to laugh and laugh. When he finally calmed down the astronauts asked him well tell us what does this message mean? So the man explained that the message says “dear sacred spirits of the moon don’t believe a single word these white people are telling you. No matter what they say about science or anything the real reasons they came they come to steal your lands so don’t believe them”. This was the secret message of this old Native American about the scientific expedition to the moon. This message was learned by people all over the world in the previous centuries. The Europeans may come with all kinds of ideas about science and exploration and so forth, but on the way they are also coming to steal your lands. We can say then that in the modern era European scientists and European conquerors both had the same mentality, one of exploring and conquering. This unique mentality is best illustrated by the development of a new type of world map in early modern Europe. 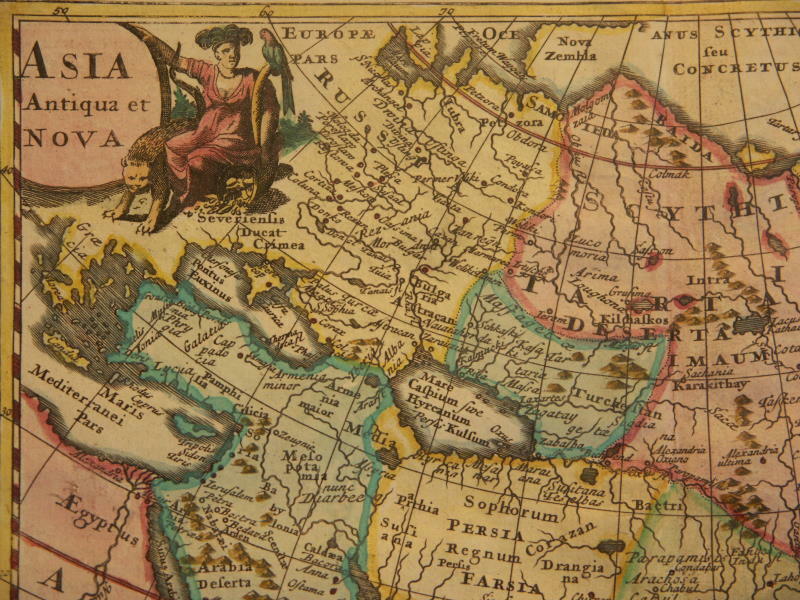 Many cultures prior to modern Europe also drew maps of the whole world. No human culture really knew the entire globe. No culture in Africa and Asia for example knew about America and no human society in America knew about Africa and Asia. This did not prevent them from imagining the whole world and drawing maps of the entire planet. Unfamiliar areas were simply left out or filled with imaginary monsters and wonders. These pre-modern world maps had no empty spaces in them. They gave you the impression of familiarity with the entire world. 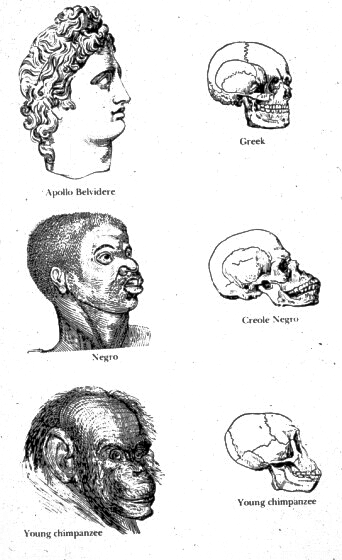 They were drawn not only by the Muslims, Chinese, Japanese and Indians but also by medieval Europeans. Here on the right is world map from Europe from the year of 1459. Europe is on top Africa below and Asia to the right. The most interesting thing about this map is that it is full of details. 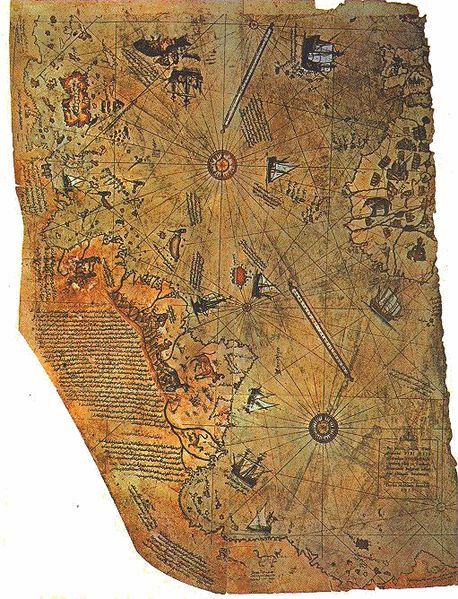 Even though Europeans in 1459 didn’t know much about Africa and Asia and didn’t know anything about the existence of America, Australia and Antarctica, the map still gives you the impression that the Europeans were familiar with everything there was to know with the whole world. 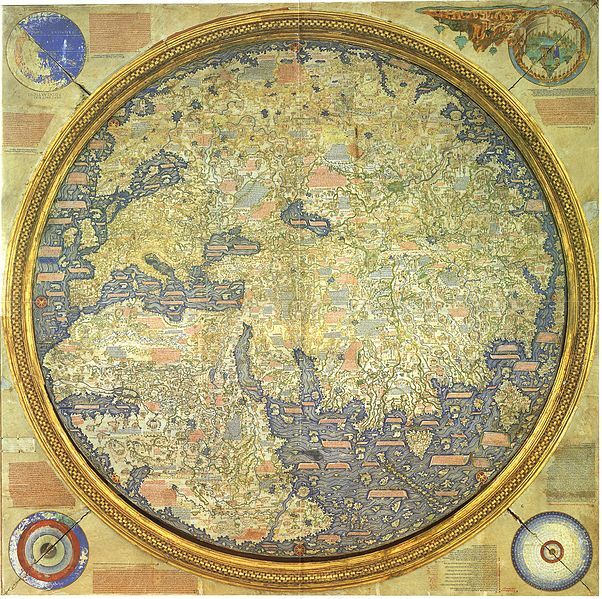 During the 15th and 16th centuries one of the first indications of the scientific revolution and of European imperialism was that Europeans began to draw world maps of a new type world maps with lots of empty spaces. The maps with empty spaces were a psychological and ideological breakthrough. They were a clear admission that Europeans were ignorant of large parts of the world. The most important change in this respect occurred in 1492 when Christopher Columbus sailed westward from Spain seeking a new trade route to East Asia. According to the calculations of Columbus, which were based on complete world maps from the Middle Ages, Japan should be located about 7 000 kilometres west of Spain. The maps were wrong, there are than 20,000 kilometres and an entire unknown continent, America, that separated Spain from Japan. Columbus didn’t know that. On the 12th of October 1492 at about 2 am in the middle of the night the expedition of Columbus collided with this unknown continent. A sailor named Juan Rodríguez Bermeo, watching from the mast of the ship Pinta, spotted an island in a group which we now call the Bahamas. This was the moment that the world was basically united and changed beyond recognition. It wasn’t realized at first. When Columbus saw this island in the Bahamas he believed he had reached a small island of the coast of East Asia, somewhere in Indonesia or the Philippines or Japan. This is why he called the people, who he found on the islands, Indians, because he thought he’d reached the Indies, in middle of Europe. East Asia was called the Indies, after India. Columbus was wrong but what is interesting is that he stuck to his belief for the rest of his life. He never realized that he discovered a new continent. The idea that he discovered a completely unknown continent was simply inconceivable for Columbus and for many of his generation. Because for thousands of years not only the greatest thinkers of Europe and the greatest scholars but also holy scriptures of Judaism and Christianity knew only about Europe, Africa and Asia. There is no mention of American in the bible. Columbus and his generation they couldn’t believe that the Bible could have missed half the world. It would be like Apollo 11 in 1969 on the way to the moon crashing into an unknown moon circling the Earth which nobody previously observed. This was the kind of thing that happened to Columbus. He was sure that the whole world was known and that he just had to cross the ocean and get to Japan. How could it be that there was an entire continent that none of the ancient wise people and not even the Bible knew existed? In his refusal to admit ignorance Columbus was still a man of the Middle Ages. He was convinced that he knew the whole world and even when he encountered America it wasn’t enough to change his views. The first modern explorer was Amerigo Vespucci, an Italian sailor who took part in several of the first expeditions to America around the year 1500. Between 1502 and 1504, two texts which describe the expedition to America were published in Europe and were attributed to him. These texts argued something revolutionary, that the new lands that Columbus discovered were not islands off the coast of China, Japan or Indonesia, but an entire continent unknown to classical geographers and unknown to the Bible and to contemporary Europeans. Five years later, in 1507, a very famous German map maker called Martin Waldseemüller was convinced by this argument and he published a new world map which was the first world map in Europe to show that the new lands discovered by Columbus were actually a new continent, a separate continent which had nothing to do with Asia. When he drew this new map and this new continent he had to give it a name. He mistakenly believed that Amerigo Vespucci, the person who wrote these texts, was the first person to discover America and not Columbus so he named the new continent in his honour. He called it America his map became very popular and many other cartographers and map makers copied it along with the name that he gave to the new continent. There is some poetic justice in the fact that about a quarter of the world, two out of seven continents, South and North America are named after a little known Italian whose only claim to fame is that he was the first person who had the courage to say – there is here an entire continent which we simply know nothing about. This was the foundational event of the scientific revolution. The discovery of America is what really began the scientific revolution because it taught Europeans to favour present observations over past traditions and sacred texts. The desire to conquer and control America obliged the European conquerors to start searching for new knowledge very quickly. If the Spaniards, Portuguese and later the English, Dutch and French really wanted to control the vast new territories in America they had to gather enormous amounts of new data about the geography, climate, animals, people, languages and the cultures of this new continent. All other previous knowledge in the Bible, Christian scriptures, geography books and ancient traditions were of little help in finding their way in the new world. 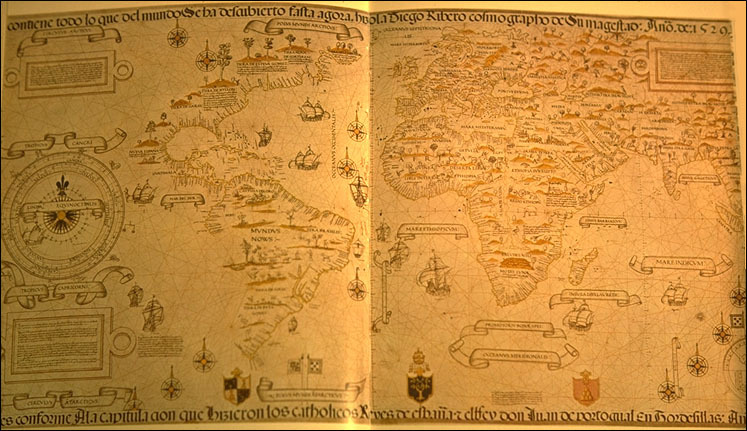 Above is another world map drawn in Italy in 1525 about 30 years after Columbus. Whereas the previous map from 1459 is full of continents and islands and very detailed explanations of all the places in the world, the 1525 map is that it is mostly empty. The area which contains America shows the western coast of America going south until suddenly it disappears into empty space. Anyone looking at this world map who has even minimal curiosity is immediately tempted to ask what’s beyond this point what’s there in all the huge blank empty spaces on the map and the map does not give you any answers. The map admits that we don’t know what’s out there and the map invites you the observer to set sail and find out for yourself what’s out there in the blank spaces. 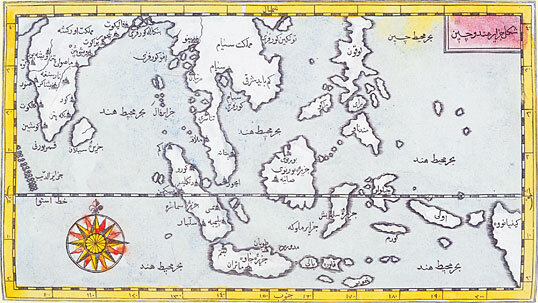 From that point onwards not only European geographers but European scholars in almost all other fields of knowledge and science began to draw maps with blank spaces. They began to admit that their theories about physics or biology or economics or whatever were not perfect. There are important things which we simply don’t know. In the following centuries the Europeans were drawn to these blank spaces. During the 15th, 16th and 17th centuries European expeditions circumnavigated Africa, explored America, crossed the Pacific and the Indian Oceans and created a network of bases and colonies all over the world. They established the first truly global empires and united the entire globe into a single trade network. The European expeditions transformed the history of the world from many histories of isolated peoples and cultures into a single history of a single integrated human society. These ‘explore and conquer’ expeditions of the Europeans are so familiar to us that we tend to overlook just how unique and extraordinary they were. Nothing like it had ever happened before. Long distance campaigns of conquest are not a natural undertaking for people not even for big empires. Throughout history most human societies, even most kingdoms and empires, were so busy in local conflicts with their neighbours that they never considered exploring and conquering unfamiliar distant lands. Most of the great empires of history extended their control only over familiar lands around them. They reached very far places simply because, as they kept growing and growing, they came in contact with more and more lands and conquered them too. The Romans first controlled only the city of Rome in the centre of Italy but then, in order to defend Rome against invasion from the North, they conquered Etruria, what is today Tuscany. Then, in order to defend Etruria, they conquered the Po Valley. Subsequently they conquered Province in what is today Southern France to defend the Po Valley. They conquered Gaul in order to defend Province. Finally they conquered Britain in order to defend Gaul against invasion. It took the Romans about 400 years step by step, from Rome to Britain. At the beginning of the process no Roman would have imagined simply sailing directly to Britain to explore and conquer it. It did happen from time to time that an ambitious ruler or an adventurer would embark on some very long-range campaign of conquest but such campaigns of conquest even then usually tried to conquer an existing and familiar empire not completely unknown lands. For example the campaigns of Alexander the Great did not result in the discovery of new lands and the establishment of a new empire rather they were simply a successful attempt to conquer, to take over, an existing empire the empire of the Persians. The closest precedence to the voyages of discovery of the modern Europeans were the Chinese empire’s voyages of discovery in the early 15th century. Between 1405 and 1433 a Chinese admiral, Zheng He, led seven huge fleets from China to explore the Indian Ocean. The largest of these seven expeditions contained almost 300 ships and carried close to three to 30,000 people, sailors, soldiers, officials and so forth. Zheng He visited and explored to some extent Indonesia, Sri Lanka, India, the Persian Gulf, the Red sea and East Africa. In the early 15th century Chinese ships reached Malinde on the shores of what is today Kenya in East Africa. Compared to the fleet of Zheng He the fleet of Christopher Columbus in 1492, which consisted of only three small ships and 120 sailors, was like a mosquito. Even though the Zheng He’s expeditions were very formidable there was a crucial difference between Zheng He and Columbus. Zheng He explored the oceans and assisted the pro-Chinese rulers in southern Asia but he did not try to conquer or colonize the countries he visited. More importantly these expeditions were not deeply rooted in Chinese politics and culture. They were the result of some chance policy of one particular ruling faction in Beijing. When the ruling faction of the Chinese empire changed in the middle of the 15th century the overseas expeditions were completely stopped. The great fleet that Zheng He built was dismantled the technical and geographical knowledge was lost. No explorer of such ambition or statute ever set sail again from a Chinese port. The Chinese rulers in the following centuries, like most Chinese rulers in previous centuries, restricted their interests and ambitions to only East Asia. The Zheng He expeditions are nevertheless very important because they prove that Europe did not enjoy any outstanding technological or economic advantage over the Chinese or over other people. What made Europeans exceptional was their unparalleled ambition to explore and conquer the world and that other people other empires like the Chinese, Muslims or Indians did not send expeditions to explore and conquer distant and unfamiliar lands. This should not surprise us and this was not due to lack of ability. It was simply due to lack of interests. The Roman never had any interest in conquering Scandinavia or India. The Persians never attempted to conquer Madagascar or Spain and the Chinese never attempted to conquer Indonesia or Africa. Again this shouldn’t surprise us because why should the Romans try to conquer far away India? Or why should the Chinese try to conquer Indonesia or Africa? What sense does it make? The really strange thing is that early modern Europeans caught some kind of madness that drove them to sail to distant and completely unknown lands full of alien cultures, take one small step on the beach and immediately declare “I claim all this land for my country for my king.” This is very, very strange. Even after the Europeans began to send these expeditions of exploring and conquering the world, the other main powers in the world like the rulers of the Middle East, India and China still did not try to compete with them. The European expeditions were so strange that even after the great empires of Asia saw what was happening they didn’t try to compete. They heard about the discovery of America and later about the discovery, by Europeans, of new lands in Africa and Australia in the Pacific Ocean, but even then they displayed very little interest. They continued to believe that the world revolved around Asia and that nothing of importance existed in America or Africa and therefore they made no attempt to compete with Europeans for control of America or of the new ocean trade routes in the Atlantic and the Pacific. At the time even very small European kingdoms like Scotland and Denmark tried to send a few exploring and conquering expeditions to America but not one expedition or one exploration or one conquest was ever attempted in America by the Muslims, Indians or Chinese. There was never a case that the Ottoman sultan sent an army to try and conquer and explore Mexico or Australia. The first time that a non-European power tried to send a military expedition to America was only in the Second World War when Japan, in 1942, sent an expedition towards Alaska that managed to conquer two small islands near the Alaskan coast, Kiska and Attu, capturing in the process ten US soldiers and one dog. This was the closest that any non-European power ever came to waging an invasion of the new world of America. It cannot be argued that they didn’t have the means to do it. The Ottomans and the Chinese had the technology and they were close enough. They were not much more distance from America than the Europeans. They had the technological, the economic, the military abilities to reach America and to try to compete with Europeans for control of the new world. The resources, that were enough to send Zheng He with 30,000 people from China to East Africa in the 1420s, should have been more than enough to reach America. The Chinese were just not interested. They didn’t think that there was anything important which they don’t already know about, that some place in the new world there could be something that was important for China. 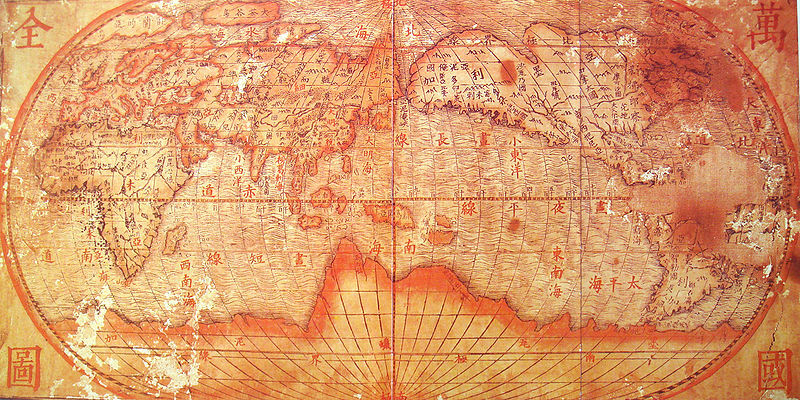 The first world map in China that actually showed America as part of the world was published only in 1602. More than a hundred years after Columbus. Even that map was published by a European missionary not by a Chinese geographer. For 300 years after Columbus the Europeans enjoyed undisputed mastery in America in the Atlantic Ocean and in the Pacific Ocean. There were many struggles for controlling these new territories but all the struggles were between different European powers or between the European powers and the local population. The big powerful kingdoms and empires of Asia and Africa did not try to intervene. It was the resources and the wealth that the Europeans accumulated in these new lands and oceans that eventually gave them enough power to compete with the Asian empires and to defeat them. When the Ottomans, the Persians, the Indians and the Chinese finally understood that America was important and that the oceans of the world were important it was already too late. They were already too far behind the Europeans. We see then that what united modern science and European imperialism was the urge to discover and conquer new things and new lands. The empire supported scientific explorations because these explorations again and again proved themselves very useful. This began when the empire supported geographical expeditions. The first really important science of the scientific revolution was geography. Not physics or chemistry or biology. Geography received the biggest in investments and it gave back the biggest results. It gave the Europeans mastery over new lands and new oceans. What began with geography soon spread to other disciplines such as medicine, physics, logistics, economics, anthropology and history. Following the success in geography, even studies which seemed completely useless were often supported by the European empires, because they might discover something useful. 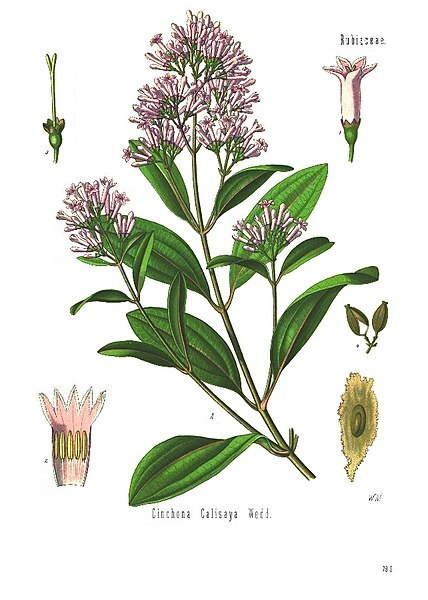 In the 19th century botanists and anthropologists, who studied folk medicines of local shamans and witch doctors in some of the American tribes, discovered the cure or at least some treatment for Malaria, from the bark of a tree called a quinine. This discovery was later used by Europeans to conquer much of Africa and the tropical countries of the world. They couldn’t do this previously because the European soldiers died in thousands from malaria. This was why some of the empires financed and supported a lot of explorations into strange subjects. When the Muslims conquered India they didn’t take archaeologists to systematically study Indian history. They didn’t take anthropologists to study Indian culture or geologists and zoologists to study the soils and the animals of India. Once the British conquered India, this is exactly what they did. The British didn’t only explore things with obvious utility such as main roads or the location of gold mines. They also took the trouble to collect information about Indian spiders, to catalogue the butterflies of India, to trace the ancient origins of extinct Indian languages which nobody spoke and even to dig up forgotten ruins in order to better understand the ancient history of India. A good example of what the British did is the discovery of the ancient Indus Valley civilization, the first great civilization of India. It was destroyed around 2 000 BC and was then completely forgotten. No Indian knew anything about it in the modern age until the British. There were ruins of the cities of the Indus Valley Civilization which you could see, but none of the rulers or inhabitants of India prior to the British bothered to go and study them. In 1922 a British archaeological survey discovered the ruins of Harappa one of the biggest cities of the ancient Indus valley civilizations. They devoted a lot of money and effort to dig up these ruins and to begin studying this lost civilization. Another example of the European scientific curiosity is the deciphering of Egyptian hieroglyphics. The last person who was able to read hieroglyphic script probably died sometime in the early first millennium AD in the Roman Empire when Egypt was ruled by the Romans. Since then the inhabitants of Egypt had frequently encountered hieroglyphic script on monuments and ancient ruins and broken pots, but they had no idea how to read these strange writings. As far as we know very few of them, if any, tried to do so. When the Arabs conquered Egypt in the seventh century, as far as we know they made no attempt to decipher hieroglyphics and to study the ancient history of Egypt. Similarly when the Hyksos conquered Egypt in the 13th century and when the Ottoman Turks conquered Egypt in the 16th century they also made no serious attempt to decipher hieroglyphics. Hieroglyphics was eventually deciphered only when the Europeans came and conquered Egypt. In 1798 Napoleon invaded Egypt when his soldiers we’re busy building a fort, at a place called Lozetta, French soldiers were digging to make the fort and discovered a stone with three inscriptions on it, one in Ancient Greek, one in Demotic script, and one in Hieroglyphics. Now as usual Napoleon’s invasion army was accompanied by scientists. Napoleon took 160 scientists with from different disciplines to study Egypt. When the soldiers discovered this stone it was quickly brought to the scientists’ attention. They immediately recognized the crucial importance of this stone as possibly being the key to deciphering the lost writing of ancient Egypt. They had three inscriptions one of which they could easily read, the Greek and, if they assumed this was the same inscription, they could use the Greek in order to understand the ancient Egyptians, the hieroglyphics. Two years later in 1801 the French army in Egypt was defeated by the British and as part of the surrender terms the French had to give up the Rosetta Stone to the British who also recognized the importance of this stone. Even the soldiers in the British army the generals they realized the importance of this stone for science so they demanded it from the French and took it and they put it in the British museum where it is still standing. The British allowed scholars from all over Europe, not just Britain, to come and try to decipher the Rosetta stone. 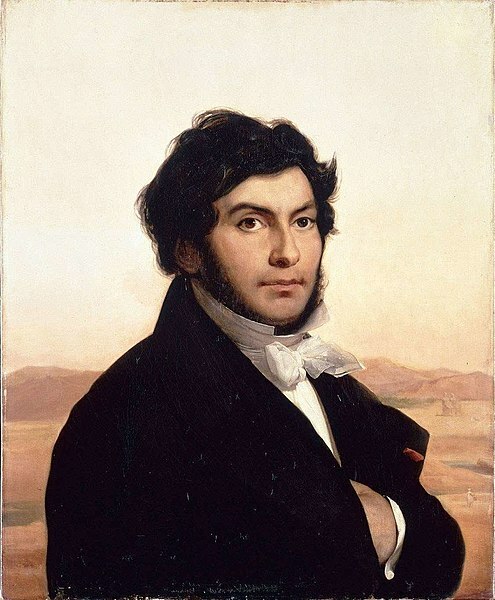 After 20 years of attempts it was, by an ironic justice, a French scholar, called Champollion, who finally managed to decipher the hieroglyphic part of the Rosetta stone. This was the crucial breakthrough which enabled scientists to read countless other ancient Egyptian inscriptions and to begin exploring the forgotten world of ancient Egypt in detail. What we know today not only about the ancient history of Egypt but about the ancient history of the whole world, about animals and plants all over the world, about outer space, about the structure of atoms, all owes a very huge debt to the contribution of the European empires. The empires did not support everything; they mainly supported scientific projects which they thought could be of some use to them and not necessarily by inventing new technologies. They also supported science that could be useful by allowing the Europeans to get to know better the lands which they now ruled or by giving ideological support to the European empires. That the European empires supported scientific projects because these could give them ideological support should be emphasised. It can be seen for example in the support that the European empires gave to the study of history, archaeology and biology. It is no coincidence that these very fields of science, history, archaeology and biology that enjoyed a lot of help from the European empires developed historical and biological theories that gave justification and legitimacy to the European empires and to the European control of the world. In the 19th and early 20th century historians and archaeologists argued that most of the great achievements of humankind were due to the efforts of the white race of the Europeans. Biologist, at the same time, argued that the white race according to those studies was biologically superior to all the other races. According to these scientific theories which were very wide-spread in the 19th and early 20th century, Europeans had the right and even the duty to conquer and rule the world. The historians and biologists tended to give their support to the empires first of all because the empires financed them, but also because the scientists really saw the empires as engines of progress, as working for the betterment of humankind. The scientists really believed that the European empires were bringing the light of reason and science and progress to the dark regions of the world, like Africa or India. They claimed that the empires brought new medicine, new transportation that works like the railroads, new ideas, education and science to the primitive people in Africa and India and Australia. This was why the empires were good and should be supported. The reality was very often very far away from these fantasies. On many occasions what the European empires brought was war and famine and exploitation and racism much more than medicines or roads or schools. 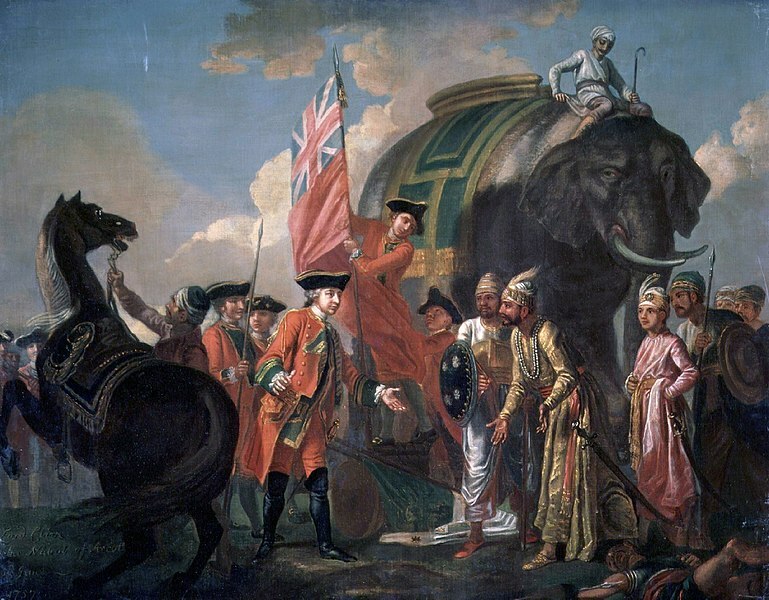 For instance in India in 1764 the British conquered Bengal, the richest province of India. The new British rulers we’re interested in little except in making themselves rich so they adopted a disastrous economic policy. Within a very few years this led to the outbreak of the great Bengal famine which began in 1769, five years after the British took control. It reached catastrophic proportions in 1770 and lasted until 1773. About ten million Bengalis, a third of the province’s population, died within four years from this calamity. Yet this did not prevent the British and the British scientists from going around saying that they were bringing progress to Bengal and to India. On the other hand we shouldn’t jump to the opposite extreme and conclude that all this talk about progress was just nonsense and that the European empires did nothing of value. In many places the European empires did provide better health and did provide better economic conditions and greater security from violence to the subjects. The truth is it’s an issue of the European imperialism it’s very complicated. The European empires were so powerful and controlled such huge territories. They did so many different things that they provide plenty of evidence for anything you want to say about them. If you want to argue that the European empires brought death and injustice you can very easily find any number of examples to support this view. If, on the other hand, you want to argue that actually the European empires really improved the conditions of the subject populations, by bringing new medicines and technology and so forth, you can find plenty of examples to support this view as well. Due to their alliance with science the European empires wielded so much power and led to so many changes that perhaps they simply cannot be labelled as either good or evil. The European empires, in alliance with science, created the world as we know it today including the ideologies which we use in order to judge them. It’s very difficult to reach a clear decision about whether they were good or bad. This then is how science and empires helped each other. Without the contribution of scientific methods and knowledge it is hard to believe that Europeans could have conquered the world. The conquerors returned the favour by providing scientists with information and protection, by supporting strange and fascinating projects and by spreading the scientific way of thinking all over the world. Without imperial support it is very doubtful whether modern science could have progressed very far. There are very few scientific disciplines that did not begin their lives as servants to imperial projects and do not owe, even to this day, many of their discoveries and collections and buildings and scholarships, to the generous help of army officers and navy captains and imperial governors. This is not the whole story. Science was supported by other institutions in addition to the empires and the European empires for their part rose and flourished thanks to factors other than just science. As we’ve already noted several times, behind the meteoric rise of both modern science and the European empires, there is one particular force which we need to take into account, and this is capitalism. Capitalism was what provided the financial means that were vital both for doing science and for building empires. Without financial support Columbus could never have reached America, James Cook could never have reached Australia and Neil Armstrong could never have reached the moon. If you enjoy reading my notes consider making a small donation to one of these charities. No donation is too small, you could change a life. By Louise Taylor in History of Humankind on November 5, 2013 .